Out at Sea-Tac, calls are escalating for the agents to walk off the job to try to force an end to the federal government shutdown — and save our broken political system from itself. Apparently the only thing bleaker than going through airport security is working for it. 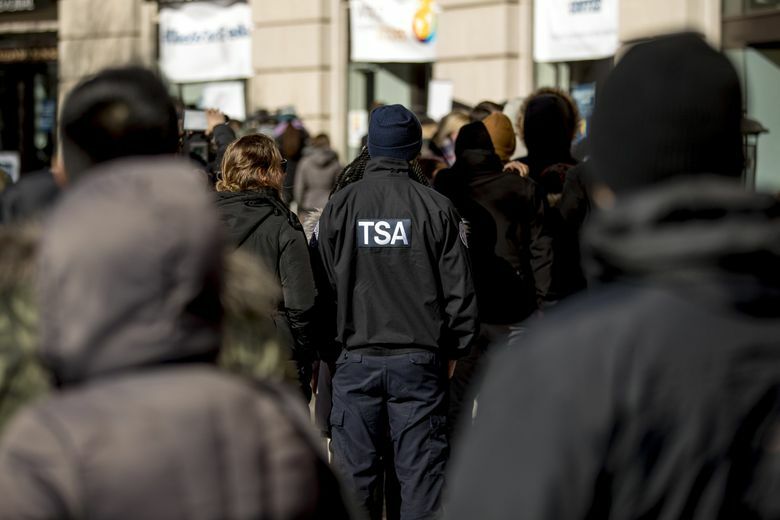 The much-maligned Transportation Security Administration (TSA), which employs the screeners at Sea-Tac and other airports, ranks as one of the worst places to work in the federal government. This past year it ranked 395th among 415 federal divisions in the government’s own employment survey. So it’s ironic that people now are turning to the lowly TSA agent and saying: Save us. Deliver us from the dysfunction at the top. Cairo D’Almeida hears it every day. “There’s this talk going on that if the TSA workers would take a stand, would walk out, then the airlines would get to the president and he’d have to make a decision to stop the shutdown,” says D’Almeida, a TSA agent at Sea-Tac and president of the union here in Seattle. The idea, as the partial federal shutdown enters its record-setting 33rd day, is that targeted walkouts or a full-on strike by TSA agents could temporarily cripple U.S. airports, potentially creating global-transportation chaos. Prominent figures on the left, such as author Barbara Ehrenreich, have called on TSA to strike in protest. Agents have been forced to work for a month now without pay, which borders on involuntary servitude. So why not make a stand? Intriguingly, some conservatives also have begun to point out the immense collective power TSA agents may hold in our political gridlock. 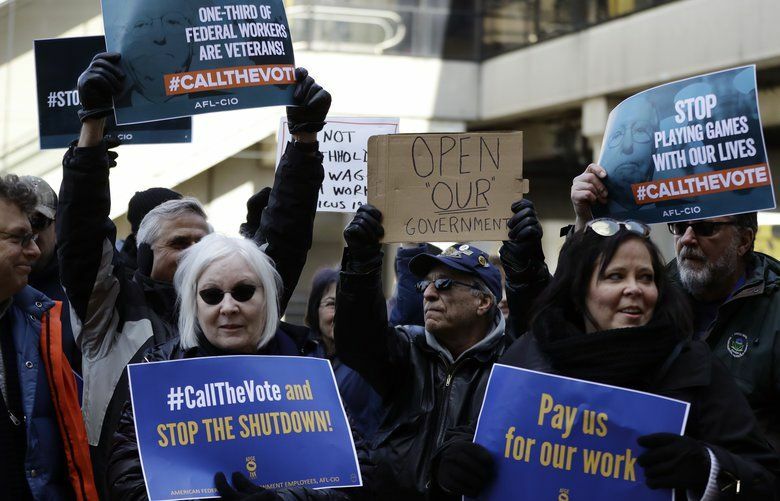 “TSA agents, if they walked off the job tomorrow, I think the shutdown would be done in two days,” Tim Chapman, the executive director of the political arm of the right-wing Heritage Foundation, argued last week. First of all: How pathetic are these “senior Republican lawmakers?” They ran the Congress and the White House for two years yet did nothing about border security. Now they’re lolling around hoping that the sixteen buck-an-hour line workers at Sea-Tac and other airports break up the political logjam they created? That said, it could work. The problem with these government shutdowns is that the government doesn’t actually shut down. The pain is administered almost exclusively to a small number of workers, while the public sees little difference. So politicians pay no price. Why not ratchet up the pressure? It could bring to an end this annual shutdown brinkmanship at the Capitol. D’Almeida, who has been at TSA for nine years, said workers are in a no-win spot. Stay the course and you invite future abuses. Walk out and you risk getting fired (because strikes by federal workers are illegal). “You’re not old enough to remember the air traffic controllers, and what happened to them,” D’Almeida said, referring to 1981, when they went on strike and President Ronald Reagan sacked them all. “I know President Trump wouldn’t hesitate one second to get rid of the entire federal workforce,” he said. But what about a coordinated “blue flu?” D’Almeida said he’s also been advising against his agents calling in sick, because they may not get back pay for the days they miss once the shutdown is over. Nationally, between 7 and 10 percent of TSA agents are missing work each day — about double or triple normal. That’s not enough to affect travel much, or raise the political heat. D’Almeida said while he gets asked daily to face down the president, what he’s really doing with his time is making runs to the food bank for some of Sea-Tac’s 800 agents — who last got paychecks 27 days ago. “It’s unfair this political burden has fallen to us,” he said. Ain’t that America? Unfair, yes. But workers may have to rise up somewhere, somehow, to shake up the political dynamic. It’s pretty clear it’s going to stay broken at the top.